If you've been following me, you've read 3 Reasons Every Writer Should Go To A Writers Conference and you've looked up a 2016 Writers Conference near you. If you're attending a conference with opportunities to pitch to literary agents, you're probably both excited and freaked out for the chance to talk about your novel. I know this, because last weekend I was feeling the same thing! Two weeks ago I signed up for the San Diego Writer's Conference and decided to pitch my book to 4 literary agents. I scoured the web for all the tips, tricks, and advice I could find and practiced my pitch like my life depended on it. At the end of the day, it paid off: 1 agent asked to see the first 50 pages of my book and 2 agents asked me to send the whole thing! 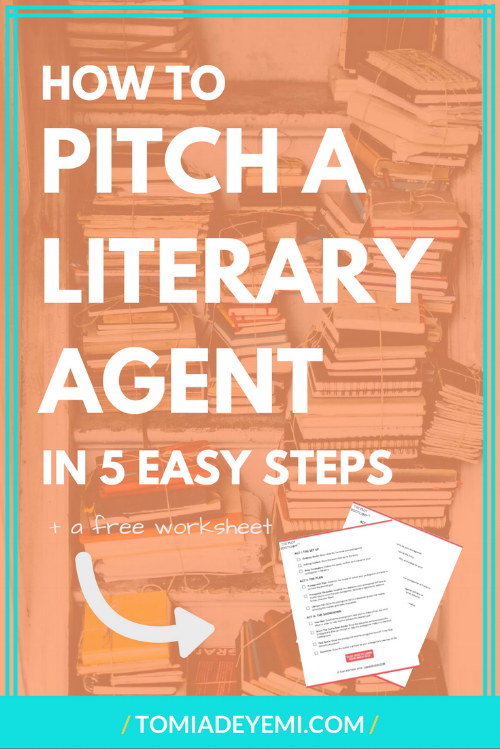 So if you're preparing your pitch and want to know what worked for me, keep reading and find out how to craft pitches that make agents request your book! When pitching agents your book, you don't have time to cover every plot twist and character. You have to take your entire manuscript and boil it down to the essentials. That means stripping your story of all of its frills and addressing its basic elements: genre, setting, character, conflict, and stakes. If you answer these questions, you'll be able to figure out the most important parts of your story, and that will help you string them together in a compelling pitch. Let's practice answering these questions using The Lion King as an example. What is his conflict: After being tricked by his evil uncle, Simba lures his father into a death trap. Overwhelmed with guilt, Simba abandons his kingdom when they need him the most. What does he have to do to overcome this conflict? Simba has to overcome his guilt for the death of his father, and battle his evil uncle to regain control of the throne. My book is a 77,000-word Middle Grade novel titled THE LION KING. Simba is a rambunctious lion cub living in the animal kingdom of Tanzania. As heir to the throne, Simba can't wait to surpass his father and become king. But when Scar, Simba's evil uncle, uses Simba to lure the king into a death trap, Simba is overcome with guilt. Unable to deal with his role in the death of his father, Simba runs away and abandons his kingdom when they need him the most. While Simba is away, Scar seizes the throne and drives the animal kingdom into the ground. When Simba finds out, he has to make a choice: continue his life in exile or overcome his guilt and battle Scar for control of the crown. Now notice there's no mention of Timon, Pumba, Rafiki, or Nala. That's because in a 2-paragraph pitch you want to boil your story down to the essentials. If you get lost in the details the agent you're pitching to will probably get lost, too. Strip your story down to the bare minimum, and then wow them with the magical details when they ask followup questions! This is extremely important because you could have an amazing story, but if it doesn't sound interesting it will be a hard sell. No matter what genre you're writing in, you have to be able to show why your story is different and why that difference needs to be read. So think long and hard about this question, and in your pitch try and highlight what makes your story unique. In my one unsuccessful pitch, the agent said the story sounded cool, but it also sounded too similar to another popular story in the market place. When I told her what was different about it, she told me to focus on that difference in my next two pitches and that's exactly what I did. I followed my two-paragraph structure, but I took more time to describe my awesome protagonist and explain the unique story world. Highlighting these differences landed me two full manuscript requests! So learn from my mistakes and successes: Identifying and highlighting your book's differences in your pitch will help your story stand out and increase your chances of getting an agent to request your manuscript! When you nail down your 2 paragraph summary, take the time to practice! Reciting a memorized summary can sound stilted, so you need to practice saying your pitch out loud until it sounds like you're telling a story. Practice will help your pitch sound natural and conversational, which will help your pitching sessions feel more relaxed. You should practice with people who have read your story and people who haven't. People who have read your story will be able to tell you how successfully you summarize the story. They'll also be able to point out if there's something they love in your book that you should include in your pitch. People who haven't read your story will be able to tell you if it sounds like something they'd want to read. You'll also get valuable experience answering their questions! You want to practice answering questions because there's a 90% chance the agent is going to ask you a few followups after/during your summary. Knowing how to pause in the middle of your pitch and successfully answer a question will set you up for success! Depending on the length of your pitch, you might have time for the agent to ask questions about you.This is their chance to get to know you as a writer, so it helps to think about what you want to say in advance. Studied creative writing? Tell them about it. Have a blog where you review books? Tell them about it. Member of a writing organization? Tell them about it. No matter what you tell them, don't be humble! This is your chance to impress them, so take it! If you're like me, you've practiced the answer to this question for your future Jimmy Kimmel interview, so it shouldn't be too hard. Let the agent know what inspires you, and have fun reliving why you wrote this story in the first place. If you sign with a literary agent, the hope is that they will represent you for your entire literary career, not just this one book. Whether you're drafting another novel or just have a Pinterest board full of ideas, this question is the opportunity for you to show the agent that you have more than one story in the works and you're serious about your writing career. How does your book fit into the market place? This is an opportunity to show agents that you've done your research and are serious about the marketability of your story. Do you know what the most popular books in your genre are today? Have you stopped to identify what was good about them so you can put those elements into your own story? If you haven't, this is a good chance for you to step back and think about how your story fits into the big picture. What authors would you compare your style/themes/story to? Now don't read this and think you have to find a book that has your writing style, tone, themes, voice, and plot. Use this an opportunity to think about your story's comps, whether that's in subject matter, plot construction, writing style, or more. When I was asked this question, I didn't know of an author who wrote like me, but I had just finished a popular book with an author who weaved action, fighting, and magic together the same way my stories do. Using that book as a comp showed the agent that I know what's popular in my genre and that I strive to put those successful elements in my own stories. So don't try and find a book that's 100% similar to yours (because if that book exist, you probably need to write a new story). Think about the strengths of your book and what you want to highlight, then find a popular story with the same strengths! One of the most important things about being a writer is being an avid reader. Every book is an opportunity to learn, so the authors you name can show the agent which authors you're learning from. Yes, J.K. Rowling will probably always be on that list, but if you can't name any recent authors you love, that's a big sign to you and the agent that you need to be reading more books. Depending on the length of your pitch, you may have extra time before your session is up. If you do, don't run away! Take that time to ask a few questions because there's a million things about the publishing process you probably don't know. In addition to getting the answers you've always wanted, you can use this time to get valuable agent feedback. Whether the agent request your manuscript or not, I suggest asking how you can improve your pitch. Asking this question in my first two sessions helped me perfect my pitch for my last two sessions! Having just heard my pitch, the agents were able to tell me what aspects of my story I should focus on and what I should nix. Implementing their feedback got me two full manuscript requests, so don't miss out on the chance to get incredible advice! If you're querying other agents, I suggest asking the agent to read your query letter. This is essential because it could be your only chance to hear from someone who's not only read thousands of queries, but knows what literary agents are looking for and what you can do to make your query stand out. Ultimately, don't be shy and don't feel rushed. This is your time, so use it to get the answers and advice that can help you connect with more literary agents in the future! If you believe that your literary career will be made or broken in your 5 minute pitch, you're setting yourself up for failure. You're not stepping into the arena of the Hunger Games, you're sitting down with an agent who loves meeting new authors and is excited to hear about your story! If the agent request your material, you've bypassed the query process and have someone excited to check out your story! If the agent doesn't request your material, you get the rare opportunity to ask why and improve your pitch and story for the next pitching opportunity! So don't psych yourself out. Prepare, practice, and you'll do a great job. There you have it! But before you go let me know in the comments - what pitching techniques have worked for you?